Sunshine Council Business Council has established a consistent record of success as a regional leader since 2010. Over the past eight years SCBC has drawn attention to topics that tightly link to our key focuses of investment, infrastructure and employment. September 2018 | Deb Frecklington, MP, Leader of the Opposition – Breakfast. July – September 2018 | Think Tank Series 4. Agreeing what is required to deliver on the Shaping SEQ Regional Plan and future proof the region for sustainable growth. May 2018 | Economic briefing by Macquarie Bank for SCBC and Master Builder Members. February-June 2016 | Think Tank Series 2: PROTECTING THE DIVERSITY AND RICHNESS OF THE SUNSHINE COAST REGION BEYOND ITS ECONOMIC VALUE – Increasing the effectiveness of community engagement. What needs to change? May 2014 | Follow up to the Youth Prosperity conference. March 2014 | Future of Agribusiness on Sunshine Coast & how to invest. November 2013 | Youth Prosperity conference. April 2013 | Growth of the Middle Class in Asia – are there opportunities for the Sunshine Coast? December 2012 | March 2013 and June 2013 review of action plan with Sunshine Coast Council and industry. August 2012 | Health Precinct conference on importance of the ‘Ripple Effect’ and developing a 9 month action plan. March 2012 | Sunshine Coast’s Economic Direction. May 2011 | Board room lunch focusing on Health Precinct’s master plan. July 2010 | First significant health forum focusing on what we could learn from overseas experience. Below are examples of where SCBC has led or been key in initiating, influencing or expanding discussion and ideas. This does not cover the extensive confidential advocacy work undertaken on behalf of members. Calling on all sections of the community to show integrity in their regional conversations around development. Again calling for collaboration between Councils and government on issues such as medical placements and to show a united face to the investment community. Federal and state budgets, providing the opportunity to support Mayor Jamieson in his discussions around regional investment priorities and strengthening the call for more infrastructure funding for the region. 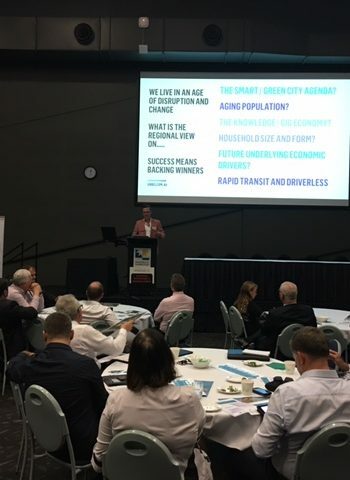 Great Cities Conference – opening a conversation about what type of ‘regional city’ the Sunshine Coast wants to be. This work will be built upon during the year. Third session of Think Tank Series 3: Sunshine Coast Growth Opportunities and Challenges emanating from the Shaping SEQ Regional Framework. The outcome of this series in August will provide the opportunity for SCBC to seek meetings with the Deputy Premier and Mayors Jamieson and Wellington to discuss agreed outcomes that will contribute to advocacy focus. On 29 September 2017, the Business Council will host its second Combined Government and Business Forum and again bring together the 3 tiers of government with regional business leaders to discuss topics of regional importance. Second session of Think Tank Series 3: Increasing the effectiveness of community engagement to deliver shared benefit to the community, business and government. Following the CG&BF, the Business Council asked Sunshine Coast RDA to take the lead in coalescing business and government on priorities for a regional Integrated Transport Strategy, and continued to support RDA through the process and to advocate on transport priorities. University of Sunshine Coast, inviting further collaboration to progress research on the revitalization of the regional coastline, on approaching SCC and Noosa Council on restating independently managed regional sustainability indicators and on further investigating employment predictions in the education sector. Mayor Jamieson, highlighting the opportunity to showcase regional initiatives and research to other Queensland councils through his position as President LGA, - e.g. regional sustainability indicators, Next Generation Planning and approaches to revitalizing the coastline – undertaken in this region that would be applicable in other comparable regions and provide over time an important information base for benchmarking regional performance. SCBC used the state budget to continue its focus on growth and investment, highlighting that inadequate investment constrains both social and economic activity and that the region continued to be left behind in terms of government and private sector investment. The Business Council is repeatedly talking in the media about the need for modern transport, health, education and tourism infrastructure to support a diversifying and growing economy and population. Five decades of women’s careers – what has changed? First Session of Think Tank Series 3 on Protecting the diversity and richness of the Sunshine Coast region beyond its economic value: Balancing Growth, Development and Environment. The Business Council commenced advocating for the return of independent research and monitoring of regional sustainability indicators, which it is still calling for today. SCBC increased its media focus around the investment in infrastructure critical to achieve the growth targets set in REDS and in line with the Council of Mayors’ Priorities for South East Queensland June 2013. A second Investment Market Survey was undertaken with a wider sample including international investor and again set the focus on the business council’s advocacy agenda at theSCBC also took its advocacy work into the agribusiness industry and, partnering with SCC, reviewed available research to put a spotlight on the state of the agriculture industry on the Sunshine Coast and conducted a forum – The Future of Agribusiness on the Sunshine Coast – Where to invest. That work contributed to the SCC agribusiness taskforce. SCBC built on previous research establishing the structure of the region’s economic base to look at the opportunities arising from the rapid development of Asia and what this may mean for the Sunshine Coast. The research was collaboration with Sunshine Coast Council and stimulated debate and forums on the topic and contributed ideas in the formulation of the REDS.SCBC undertook its first Investment Market Survey as part of its response to the draft SC Planning Scheme 2014, to understand the investment criteria and perceptions of the Sunshine Coast as an investment location and the type of investment opportunities the investment community were most interested in on the Coast. Again, this work underpinned the Business Council’s advocacy agenda and meetings with Councils and state government particularly on the need to understand how private sector investors made investment decisions and making the Sunshine Coast an easy region in which to do business. SCBC also started calling for cooperation and collaboration between all tiers of government to agree region’s investment priorities following the release of the REDS and repeatedly highlighted the high unemployment rates. SCBC released its first regional paper - Economics Direction 2012 – 31 - which stimulated a conversation highlighting the Sunshine Coast region’s under-performance in terms of per capita GRP, unemployment and participation rates, high % of part time and casual workers, low participation in further education, faster growing aged demographic than comparable regions and lack of growth in some working agedThe report introduced a jobs target of 100,000 new jobs and brought into focus the importance of transformation projects such as the Health Precinct, Airport, Maroochydore PAC and technology and key industries in driving job growth. That research underpinned our advocacy agenda for the next few years and the jobs target was taken regularly raised with SCC and fed in to the Regional Economic Directions Strategy (REDS). SCBC, together with industry members, called on the SCRC to establish a separate legal entity to manage the development of the proposed Maroochydore PAC, as a step toward managing the potential for conflict of interest. It also called on SCC to be bold in its vision for the PAC as well as transparent around its investment strategies. Around this time the Business Council started to call on Councils and government to ‘hunt as a pack’ - a theme that has been picked up and frequently used. SCBC undertook independent research titled ‘What, So What, What Now’ which developed a profile of the Sunshine Coast economic base that would be required to support a 500,000 population. The Business Council’s narrative at the time highlighted the need for change to support a growing population and how that change could be driven and what would be achieved.Discussions included the need for a revised regional economic development plan, the need to ‘exploit’ potential of transformational projects to drive growth, transport and new funding models for the airport. SCBC was the first industry group to talk about the proposed new public hospital in terms of the potential broader economic ‘ripple effect’ outside of the bricks and mortar of the public hospital. This discussion resulted in regular meetings with council and state government and multiple forums over successive years led by the Business Council, and the first action plan developed in collaboration with council and other key stakeholders. That action plan contributed to the SCC Health Task Force.SCBC continued to advocate on the ‘ripple effect’ discussions until we handed responsibility for this issue over to the Kawana Chamber of Commerce in early 2017. Our focus in 2017 will be on the positioning and success of the broader Health Precinct.